These are the non-monetized free submission directories that does not charge the users to post anything on their website. These websites have the purposes other than earn money. This is a simple and elegant site that is targetted for events of the technological categories. It aims to let its users find the right tech events. Events submission is also allowed. 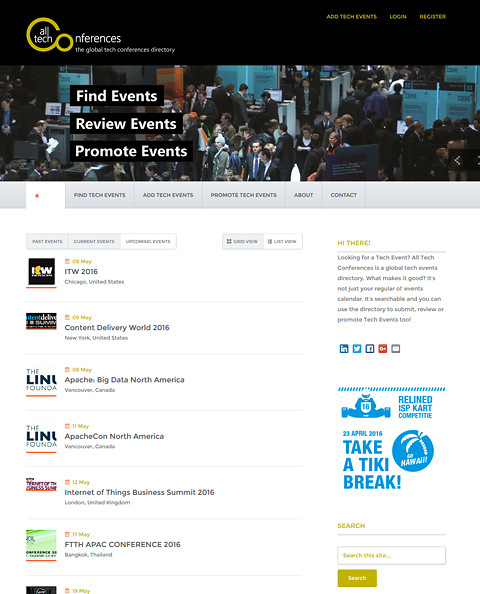 IT offers a way to the event owners to promote their events by getting listed on their site. Purpose: The regular event website, but targetted for events of a specific type. This makes it very easy for users of a certain interest-group to search for the event they want. It allows free submission and search for the events. 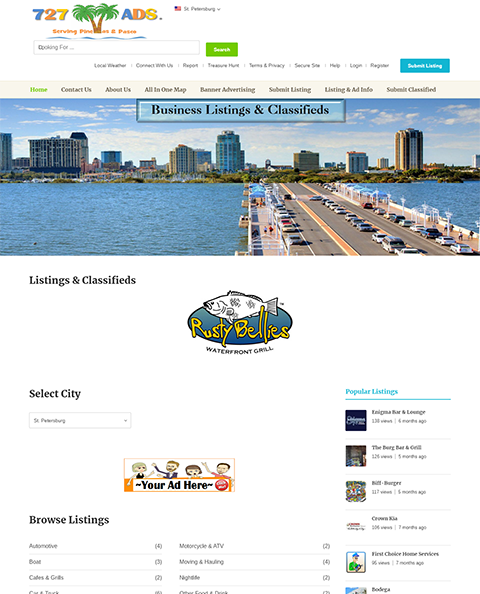 We like how 727ads is a listing directory as well as a classifieds software. It is a Multicity directory that offer free listing submissions and free classified submission. The only way they monetize their site is through advertisement banners at different places on the site. 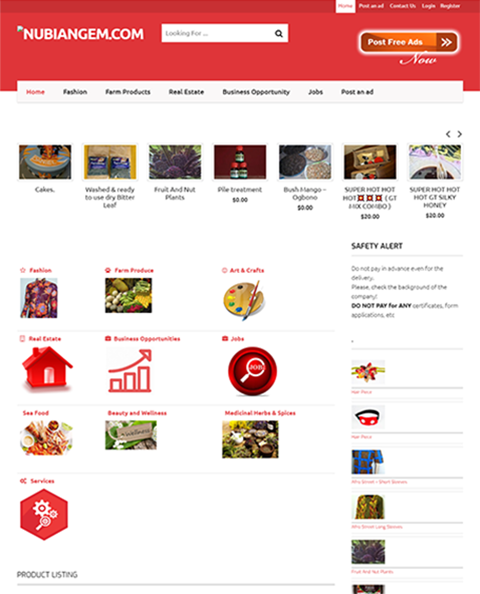 They’ve used the directory theme with its basic features, to create an effective, user-friendly and very useful website. 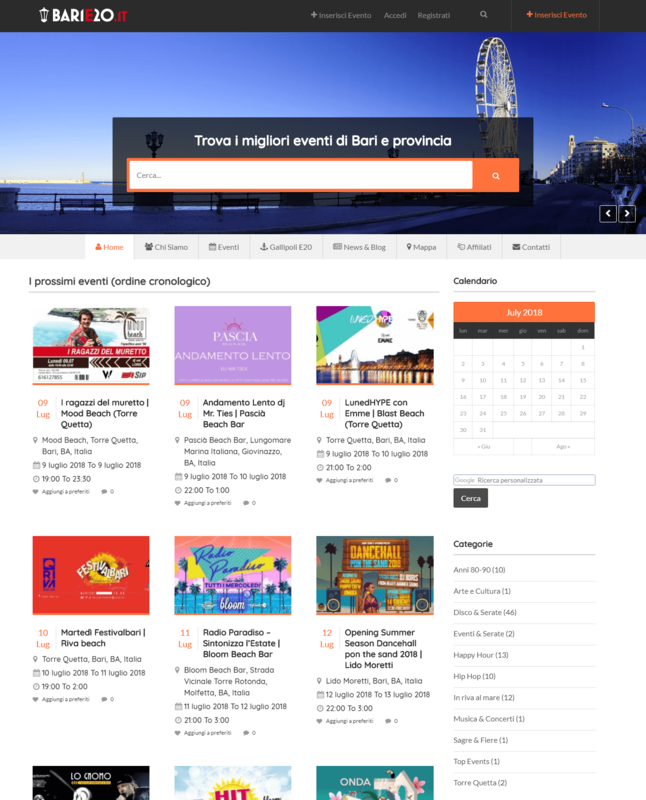 Barie20 is an events portal listing all the events taking place around Bari and neighborhood. 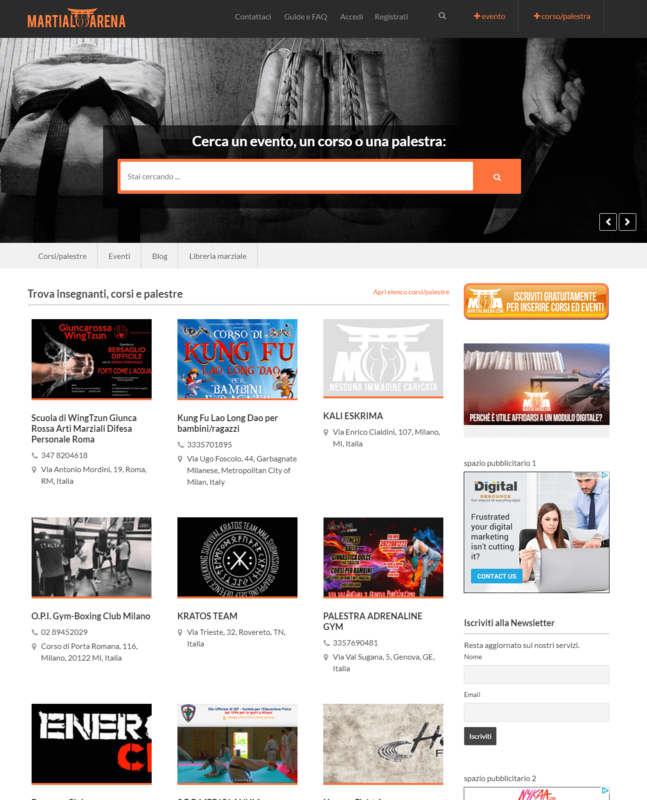 It is a translated events directory with an event calendar and free front end event submissions. The website uses Google AdSense in different sections to show targeted advertisements. It uses the Eventum theme with its basic features and designs. Nubiangem.com is a Classifieds Directory website with free ad submissions. It has used the Classifieds directory theme as it is and created a user friendly, elegant online classifieds directory. It allows different listings for jobs, classifieds advertisements & real estate. The classifieds directory theme is used with a very little customization to create a multipurpose classifieds directory. Martial Arena is a website in Italian language. It is a translated events directory with free front end event submission. Martial Arena uses the Eventum theme in its basic form, without any advanced customizations. It is a beautiful and feature rich website to display location-based event listings.